Straight teeth are among the most important components of a beautiful smile. If your teeth are affected by misalignment, gaps, a crossbite, an overbite, or an underbite, you may feel self-conscious about the appearance of your smile. At Joe Isaacson Dental in Oklahoma City, OK, Dr. Joe Isaacson and his team help patients just like you achieve straighter teeth and more attractive smiles with an alternative to traditional metal braces: Invisalign clear braces. 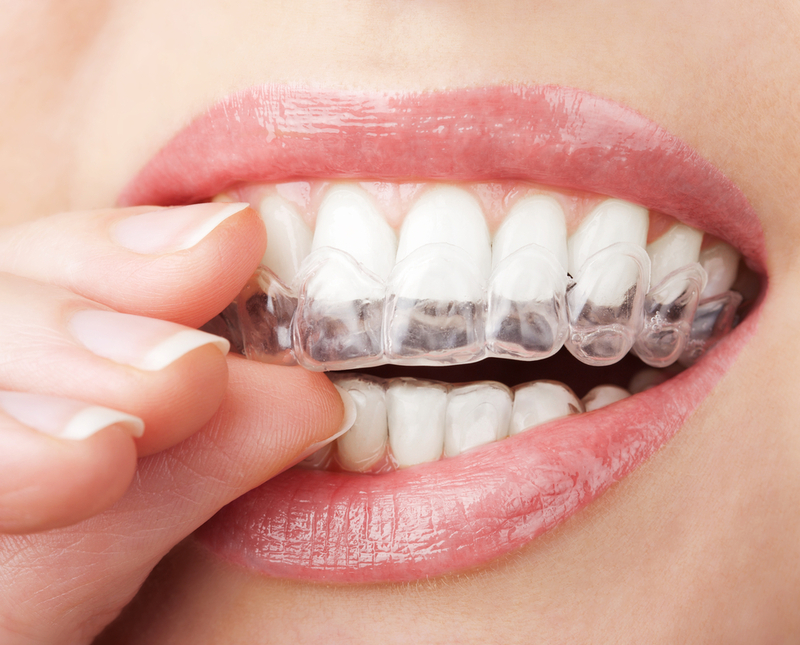 Unlike traditional orthodontic braces, Invisalign clear aligners are made of smooth, comfortable acrylic. The aligners are customized to fit your unique dentition, gradually shifting misaligned teeth into their proper positions over the course of your treatment. Depending on your individual case, you will most likely receive between 20 and 30 sets of customized aligners, each of which you will wear for about two weeks. In addition, you’ll visit Dr. Isaacson’s office every four to six weeks for a brief checkup, just to make sure that your aligners are straightening your teeth as planned. When your Invisalign treatment is complete and you remove your final set of clear aligners, you’ll have the perfectly balanced, straightened smile you’ve always wanted. Because straighter teeth are easier to clean, you’ll also be doing something great for your overall oral health even as you enjoy the cosmetic benefits Invisalign provides. If you’ve been dreaming of a straighter, more balanced smile that you’re proud to show off to the world, don’t wait another day to find out how Invisalign clear braces may be able to help you achieve that goal. At the office of Dr. Joe Isaacson in Oklahoma City, OK, we help patients just like you realize their dreams of gorgeous, healthy smiles with a variety of cosmetic dentistry solutions, including Invisalign. Contact us today to schedule your appointment, and begin your journey toward straighter, healthier teeth. We also proudly serve patients from the surrounding areas of Mustang, Yukon, Piedmont, Edmond, OKC, and beyond.